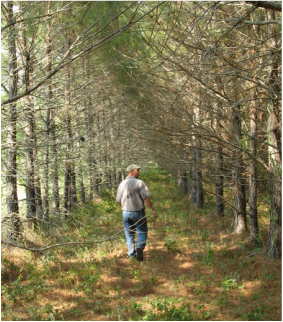 The first step in managing your forest is to write out a plan of future goals and activities intended for the property. We start this with an inventory of the standing timber and forest conditions. We, then, prescribe management activities specifically tailored to your property. The forest management plan is sold as a single document and includes detailed maps, timelines and detailed explanations of current conditions and future objectives. At Burns Forestry, we use our experience with timber buyers to make sure timber harvests are customized to fit your specific property. We often use a bid sale to ensure landowners receive fair market value and have the opportunity to exploit available markets. 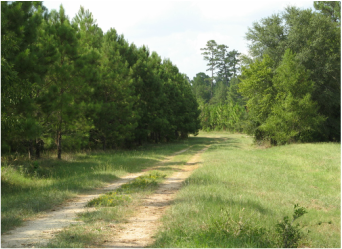 All timber sales are monitored for landowner satisfaction and compliance with Texas Best Management Practices (BMP). We are interested in your continued business, so we make sure timber harvests are profitable throughout the life of the forest, rather than receiving a quick payout. Forest management is a complicated process, but Burns Forestry prides itself on explaining forestry in terms landowners can understand. We monitor forest and market conditions to make sure management activities are accomplished at the appropriate time. 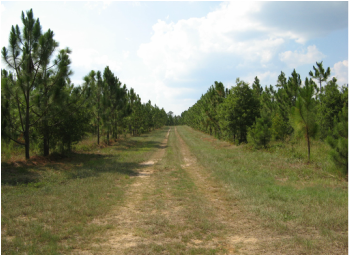 At Burns Forestry & Wildlife, we maintain good relationships with county appraisal districts and help clients through the timber tax valuation process. Appraisal districts in most counties require a forest management plan for reduced property tax valuation in comparison to market value. Our staff is well-versed in natural resource management and offers a variety of special studies including investment analysis, yield modeling, storm damage reports and growth studies.